One of the perks of scouting gardens for the HGTV series A Gardener's Diary was getting to meet such interesting people. My fellow executive producer Kathryn MacDougald and I could write a book just on the characters we came across. Two of the most interesting were known as the "Variegated Guys", and for good reason. It so happens that one man was black and the other white, which was a running joke with them. But totally unrelated to that fact, they had an amazing collection of variegated plants. It was said that they would hear about a new variegated plant and drive all night to acquire it. When I drove up to their house in Raleigh, N.C., I couldn't believe it. Every plant was variegated. Then, you passed under an iron arch covered in variegated ivy (they had scads of ivy of different sizes with every imaginable type of variegation - yellow and green, white and green, mottled cream and green, and so on) to walk to the back. It was mind-boggling. Just about every plant you can imagine was represented in variegated form. It was like a guessing game to identify the leaves that looked so familiar, yet were strange due to variegation. I remember staring at a gardenia bush for several moments, thinking, "I've seen this before." Half of the leaf was white; the other half was green. Ditto a huge banana plant. The half white and half green leaves were stunning. Using variegated plants is a great way to light up a shady garden. We're used to seeing hostas with beautiful variegation, but so many other plants like azaleas and boxwoods come in variegated forms. I used to have a money plant that had green leaves with a white picotee edge and white flowers. I first saw it in a California garden and didn't recognize the plant, although I'd been familiar with money plant all my life. Unfortunately, I no longer have any seeds, but I'll be on the lookout for them again. Just for fun, I made a starter list of normally green plants I've seen in variegated form (I won't count the variegated plantain weed I have, in addition to another weed which you would recognize but I don't know its name). So here's a list I came up with off the top of my head. I'm excluding herbs and house plants. 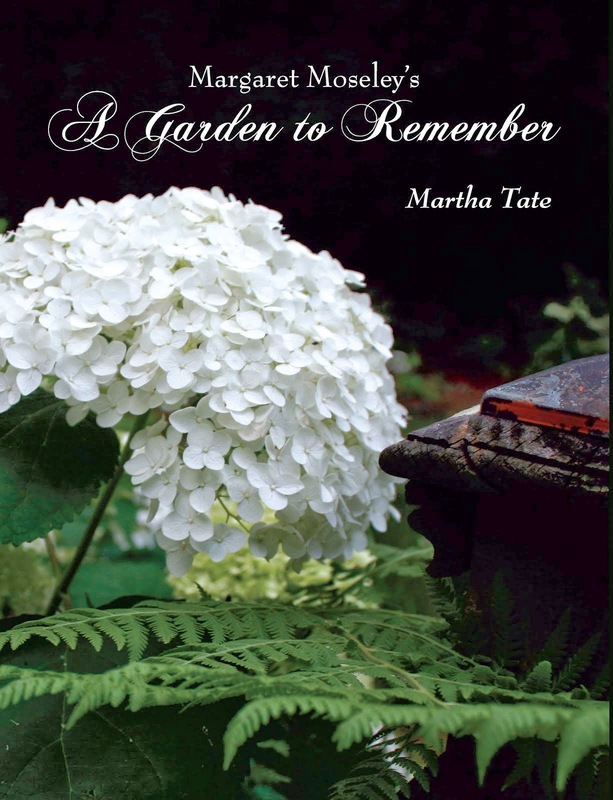 See if you can come up with additions: Virginia creeper, fatsia, althea, holly, aralia, liriope, acorus, cast iron plant, alstroemeria, Solomon's seal, farfugium, elaeagnus, hydrangea, iris, fatshedera, osmanthus, euonymus, bamboo, dogwood, forsythia, jasmine, brunnera, kerria, willow, weigela. Whew. That's enough; this could go on forever. But what of the plant pictured above? I saw this tree at Lisa Bartlett's house and couldn't figure out what it was from a distance. I've admired the chartreuse form (which we'll see in a later post), but I had never seen this form of redbud (Cercis canadensis). Next June I'll remember to take a photograph of the entire tree. It was breathtaking.